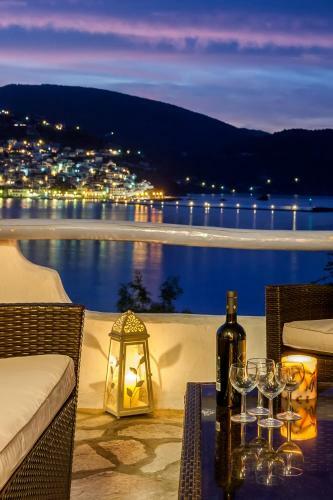 Karavos Apartments and Villa is located in Skopelos Town, Skopelos. The hotel offers to its guests garden	and bbq. The property offers family room, 3 bedroom apartment, 1 bedroom apartment and other might be available upon request. The rooms provide sea view, garden view, pool view, city view and mountain view. Amenities of the rooms include air-conditioning, heating, tv, satellite channels, fridge, etc. In the bathroom there is hairdryer. The kitchen is equipped with microwave, fridge, kitchen utensils, oven and toaster. Fields with * are required. The enquiry is sent directly to Karavos Apartments and Villa.